Bow and Drape: I love the sweatshirts and accessories from this website. I found them on Instagram, everyone knows I love Instagram. I bought two handcrafted sweaters from them. They have top trending sweatshirts for $35. You can create your own or take one of their witty phrases. 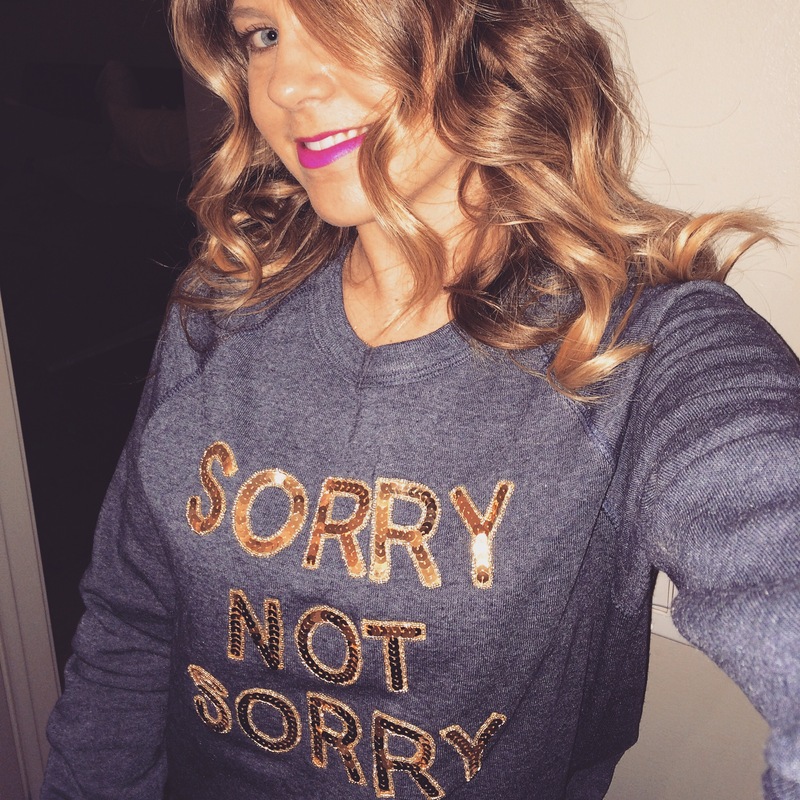 I got Sorry Not Sorry and I created one that says #Crafty in gold sequin letters. They have different letters and symbols to choose from . The sweatshirts are super cozy and soft! I wear them with leggings and boots. I also got a clutch with my name on it. Since they are handcrafted and made to order they do take some time before they are shipped. However, it was well worth the wait because they came out awesome and shipping was free! They are totally giving me inspiration to make my own sweatshirts! Staying warm and cute this January..